When you pick up any book written by Kanta you cannot help falling into her comforting, soft and gentle words yet off course in this book you find uplifting phrases and poems. It is not a book from a poet that is not the intention of this book, the unique random poems are fun, cheery, spiritual, and somewhat familiar in places. They inject triggers and thought to the brain as her soulful words are surrounded with the purpose of love, inner love, love as couples, love to the higher and the pure enjoyment of love. This is a book that will make you smile, giggle and enjoy, perhaps even bring you some comfort. Accompanying the words are also full page unique free hand drawings, each thought out by Kanta again with meaning as well as phrases and quotes throughout. My favourite poem immediately was Chakra Sweet and is one that I will think of everyday, very short but meaningful in purpose. Other favourites were Aloha Heart, Socks and Mind Reader. 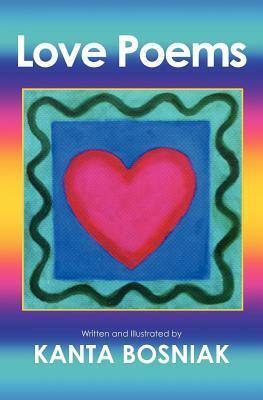 A lovely unique book to enhance the love inside of you, a perfect book throughout the year. Sign into Goodreads to see if any of your friends have read Love Poems.